MCR Medical Blog » Are You Ready to teach CPR Training? If you are new instructor or interested in becoming one, we can help. Not only do we have quality CPR, AED and First Aid training equipment at low prices, our owners are seasoned CPR, First Aid and CERT instructors / instructor trainers with decades of first aid and practical field experience as well. For more information on our CPR Training Kits and any of our other products, pleas email us at sales@mcrmedical.com or call us at 614-782-2100. Our seasoned customer service reps are always ready to help. 1. 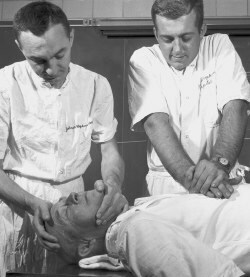 CPR manikins– Ultralite or Prestan Professional. With monitors or without. Light, medium or dark skin tones. 2. CPR training masks, valves, shields and/or bag valve masks. 3. AED trainers and pads. 6. Student training kits for first aid. 8. Fun novelty items for students: our wristbands and Manikey key-chains make great freebies. 9. Pocket resuscitator masks and/or CPR Key-chains.